Mxit is a massive mobile social network that was started in South Africa a couple years ago. 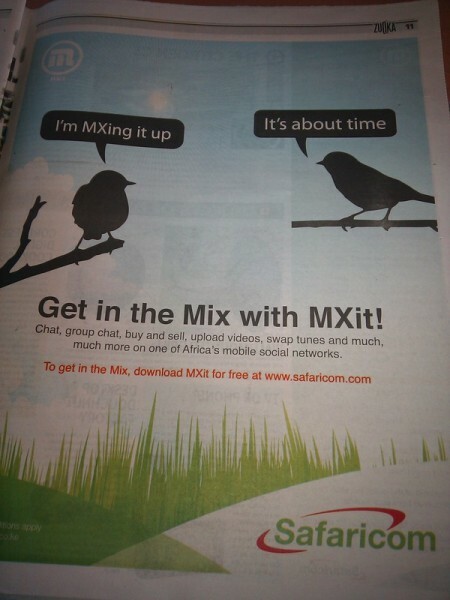 Today, Safaricom announced a partnership with them, using their marketing muscle (7 pages of ads in today’s newspaper) to import Mxit into Kenya. 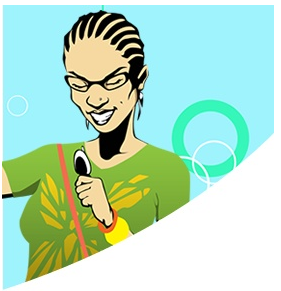 Mxit is a free instant messaging platform that uses the data network, thereby making it cheaper per message than sending an SMS. They claim 19 million users, most a younger demographic, who spend time chatting with friends or in chat rooms. MXit also supports gateways to other instant messaging platforms such as MSN Messenger, ICQ and Google Talk. This should be a slap in the face to Kenyan programmers and tech business entrepreneurs. 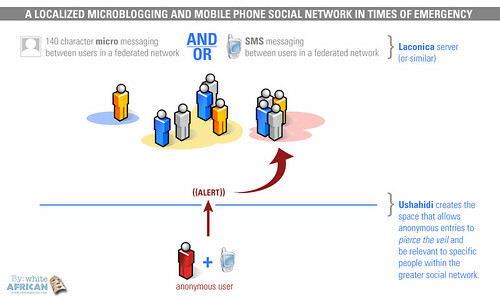 The model to build the same type of mobile social network has been openly working and available to do for at least three years. To be fair, Mbugua and the Symbiotic team tried to create something like this a year ago, called Sembuse. Both he and Idd Salim aren’t very happy about this latest move, claiming that Kenyan entrepreneurs can’t get the same access or opportunities as their South African counterparts. On one side, the Sembuse team have a point. Safaricom has been promising to open up their API and platform for real extension. This has never been fulfilled. They have promised to (honestly) engage with the local programming community, and this hasn’t happened either. 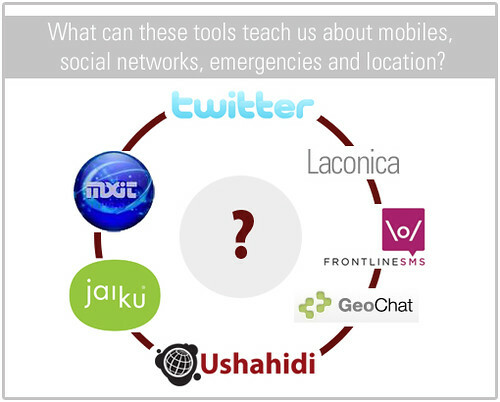 They were publicly called out on all of these facts and more at the Mobile Web East Africa conference this year. In many ways Safaricom walks arrogantly through the Kenyan market, lying, stealing and cheating their way to even larger profits. However, they also push the edges. While others are happy to sit back and make their current margins, Safaricom takes risks and eats their lunch. Innovation, whether it’s home built, bought or stolen still has the same effect. For whatever reason (marketing, value add, etc), Sembuse didn’t catch on – it hasn’t reached critical mass. Numbers of users, rather than technology ability even when it’s better, are the things that larger companies are looking for in this type of play. If you don’t have half a million users, you aren’t even in the game. Though I’m no Safaricom apologist, I can’t fault them for making a decision to go with a tested product from an established business. Yes, SMS is currently a cash cow, especially here in Kenya. However, everyone can see the writing on the wall: data is the future, and controlling the channel is more important than anything else. I’m more disappointed that no Kenyan company has been able to make a go at this by themselves, just like Mxit did years ago. You don’t need Safaricom or any other mobile app provider to be successful in this space, Mxit if anything, has proven that. Like I said 2 years ago, this is a sure win if you can pull it off correctly. The technology to do this is not new, as Idd Salim points out as well, neither is the model – so you know that the strategy here is on marketing and communications to show the value add to potential customers. More than anything else, Kenyan entrepreneurs should be upset with themselves for missing a sure opportunity, not upset with Safaricom for making a good business decision. It’s all beginning to come together, at least on the fringe where all of us technocrats live. Social networks have been humming along quite nicely, many people you know are now part of a service like Facebook, MySpace, Twitter, Bebo or Mxit. On the edges, some applications have started to pair up location-based services around them, thus the rise of smaller applications like FireEagle, Loopt and Brightkite. What’s always seemed to be missing is a way for location, mobile phones and social networks to coalesce. A way for you to communicate with people, be it updates, comments or chat – and then apply location to that as you chose. Those social networks that tried to do it all couldn’t do it at this level, because they didn’t have critical mass (such as Brightkite). Those that had reach, like Twitter or Facebook, don’t have a simple way to play with location for everyone. Just over a week ago, Google Latitude launched. It’s a location-based service that mashes up Google’s own mapping products with Google’s communication products; Gmail and gTalk (chat). One week later, they announced that a million people were already using the service in the 27 countries that they had released it into. While people are discussing how great the technology works, and it does seem to be quite impressive if you carry one of the supported smart phones platforms (BlackBerry, Windows Mobile, Symbian and Android), I believe there’s something even bigger going on here. Google has not had much success in the social network space, so they are taking a rather nontraditional approach to getting embedded into people’s lives at a much more foundational level. Gmail has a base of 50 million+ accounts, and each comes with a chat service, which has gained quite a bit of popularity. Not to mention, SMS was enabled within chat just a couple months ago, in December. What Google appears to be doing, is leveraging its massive user base, tied together through email and chat services, and pairing it together into a larger community that works within it’s mapping infrastructure. It also has the potential to change the game for some other large services. What happens if people start using Google Latitude for their status updates instead of Twitter and Facebook? What service do you use to find out what’s happening on a Friday night? It will be very interesting to see what types of reactions to this service arise out of the large social networks, especially those with a large international footprint. Getting location, mobile and social networks to play together isn’t easy, yet these organizations will not sit by as Google whittles away at their empire. Here’s something to think about. If you didn’t realize this before, pay attention: the big international showdown in this space is between Google and Nokia in the coming years. They have been gaming each other for over two years, and as the race to the edges begins, you’ll see them come head-to-head more often. 1.5 years ago Nokia bought mapping service Navteq in a mega-deal at over $8 billion. Last summer they launched Ovi, which allows remote sync capability for photos, contacts and calender, gains access to music and games, and marries up their mapping and sharing capabilities. It’s what Nokia is banking on for their consumer value-added services in the future. I’m not sure who will win out on usage in the end, but I do think that Google’s Latitude is an incredibly strong and under-the-radar type play that should be watched very closely. One thing is for sure though, the organization that opens up for easy third-party development on their platform will have a better chance. Just today Google has shown that they are willing to invest in African mobile phone businesses. Does Google’s purchase of an equity stake in Mobile Planet mean the big web/mobile money will start flowing throughout Africa? Not necessarily, but it made me think of a conversation that I tend to have a lot in my travels. The topic of conversation usually turns to this; what type of web or mobile application can you build to make some serious money in Africa? Though there are many answers to that question, as I believe there are many options for successful web and mobile companies in Africa, there are only a few that I think of as “sure things”. Any entrepreneur is looking to either a) create a company with solid cash flow and grow it, or b) create a solid company with value and then sell it (or have an IPO). On the web that takes some well-known paths, and the most common is option “b” where the entrepreneur’s sell their company to a larger web entity (Amazon, Google, eBay, Nokia…etc). Create a Jabber-based chat application that works on the mobile phone and the web, grow it to a 1-2 million users within a region, sell to Google. You build your chat application with Jabber since it can interface with Google’s GTalk. Jabber is free, and also happens to be the what a couple other major applications are built on (see South Africa’s Mxit). Google is trying to grow in Africa, and I assume would be extremely happy to pay a very healthy amount of money to acquire an application with millions of active users that is built on the same protocol as their own chat system. The formula for this particular idea is built on two premises. First, that you can actually get a couple million users within an African region using your chat application. Second, that Google wants more users on their platform(s). 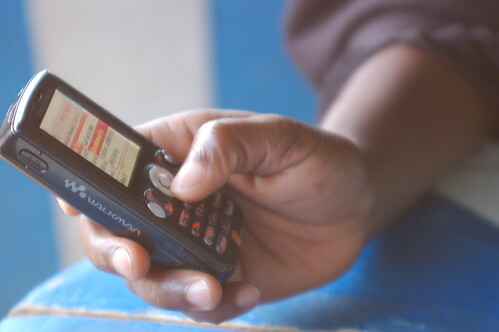 The first challenge is born from the fact most mobile phone users in Africa don’t use data enabled phones, so they can’t run a Jabber application on their phone. Mxit’s answer to this in South Africa was to show that for 10% of the cost of a normal SMS, you could send a message through their system (which happens to be a highly bastardized customized Jabber app). Your goal is to get people who don’t have a data enabled phone to upgrade to one. Your goals to overcome these challenges is found in tapping into communities and spreading your app virally to gain critical mass with speed. Once it spreads, the first application like this to reach a decent amount of saturation will be the winner, even if it has some faults (see Twitter). On top of these services, you’ve got the advantage of building on an open source platform that other services use as their core. Lastly, and most importantly. 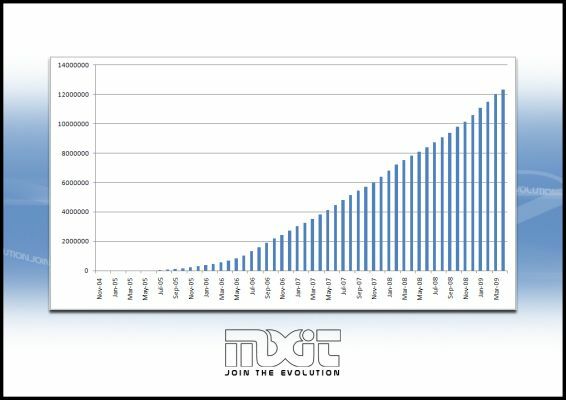 If you were to reach even 500,000 users you would have an incredibly viable opportunity for advertising revenue. The ability to target specific advertisements, or sponsorships, through the platform make it a marketers dream. Basically, you might not need, nor want, a buy out after all. Is it really a “sure thing”? No, every business move has inherent risk and depends on execution of the strategy. 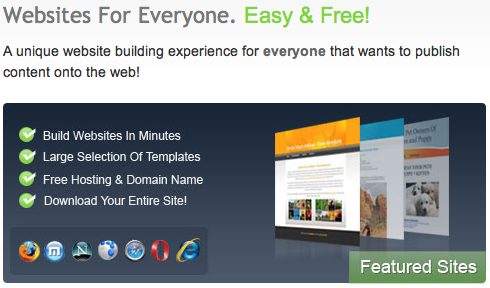 Is it a good basic idea that could be built into a real product with a solid exit strategy? Yes, undoubtedly so. 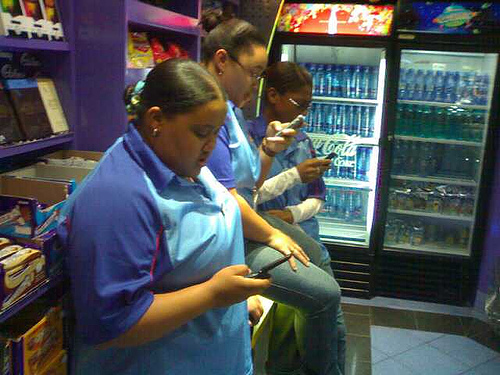 We’ve already seen the booming success of Mxit in South Africa. There’s no reason to believe that you couldn’t have a margin of that same success in East, West or North Africa with the same type of service. If you build it with an end-goal of Google integration in it at the end, you also set yourself up for a real possibility of a buy out.